"MEN WANTED: FOR HAZARDOUS JOURNEY. SMALL WAGES, BITTER COLD, LONG MONTHS OF COMPLETE DARKNESS, CONSTANT DANGER, SAFE RETURN DOUBTFUL. HONOUR AND RECOGNITION IN CASE OF SUCCESS. SIR ERNEST SHACKLETON." For the previous two weeks I have written about Sir Ernest Shackleton’s ill-fated Imperial Trans-Antarctic Expedition of 1914. I received a lot of kudos and comments about his story. I confess to omitting some lesser details about the saga. Our kind editor only allows me 500 words and it was difficult to squeeze a 21-month Antarctic survival story into a 12 by 3 inch column. So, as requested, here are a few other interesting tidbits. Yes, it is believed Shackleton placed a “help wanted ad” in the newspaper to recruit his crew for the expedition. I have placed Shackleton’s “help wanted” ad on my blog at www.blog.AmericasMindsetMechanic.com. Check it out! Yes, there were two ships. For Shackleton to accomplish his goal of crossing Antarctica overland from west to east he needed two parties on two ships. 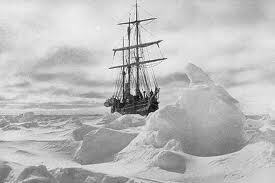 The "Endurance", with Shackleton's party, was to sail up the Weddell Sea and then come overland, using dog sleds, near the Vahsel Bay. The supply ship "Aurora" party would come up the opposite side of Antarctica, up the Ross Sea, and arrive at McMurdo Sound. This party would then come inland planting caches of supplies for Shackleton's party. The Aurora expedition was inexperienced and struggled in the Antarctic. However, they persevered through the loss of most of their sled dogs, extreme weather, personnel disputes, illness, and the deaths of three members. Worse however, the Aurora was torn from its moorings during a severe storm and was unable to return, leaving the shore party stranded. They remained stranded until January 1917, when Aurora, which had been repaired and refitted in New Zealand, arrived to rescue them. Yes, Shackleton had a photographer along named Frank Hurley. The photos are incredibly interesting. You can find some on my blog. Yes, news of Shackleton was overshadowed by the war news in the British newspapers. The expedition returned home in piecemeal fashion, at a critical stage in the war, without fanfare. Shackleton’s return was barely noticed. He organized one final Antarctic expedition, which left London on 17 September 1921. 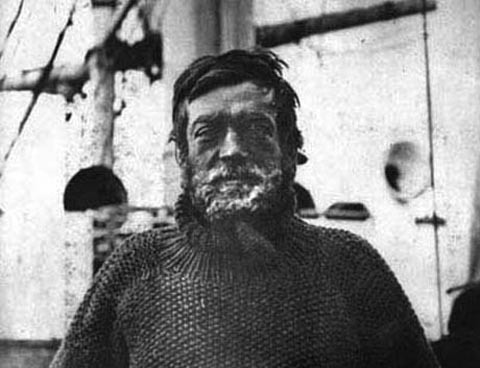 Sadly, Shackleton died of a heart attack on 5 January 1922, while his ship was anchored at South Georgia Island. He is buried there. Yes, Shackleton was Irish. Hope your Saint Patrick’s Day was great! Last week, I wrote about Sir Ernest Shackleton’s ill-fated 1914 Imperial Trans-Antarctic Expedition. 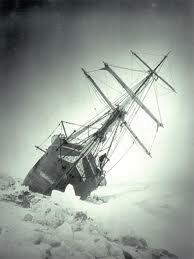 Shackleton’s ship, Endurance, got stuck and crushed by the Antarctic ice. The expedition was marooned on the ice until they managed to land themselves on Elephant Island. There, Shackleton decided to “go for help”. 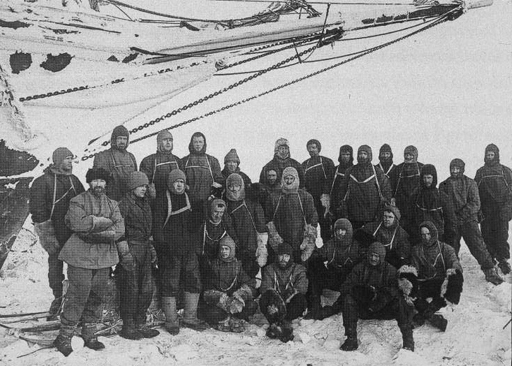 Twenty-two members of the expedition remained on Elephant Island while Shackleton “set off” in a 20-foot lifeboat with five others to get help. Unfortunately, the nearest help was 800 miles away, across the open and very treacherous South Atlantic Ocean. 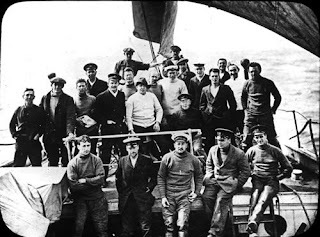 As you recall, Shackleton chose five companions for the journey: Frank Worsley, Endurance's captain, who was an excellent navigator; Tom Crean, who had "begged to go"; two strong sailors in John Vincent and Timothy McCarthy; and finally the ship’s carpenter McNish. Shackleton immediately sent a boat to pick up the remaining three men from the other side of South Georgia while he organized the rescue of his 22 men still marooned on Elephant Island. His first three attempts at rescue were foiled when sea ice blocked the approaches to the island. Resourcefully, he appealed to the government of Chile. Chile offered the use of a small seagoing tug from its navy. With the Chilean tug, rescue finally reached the remaining men on Elephant Island on August 30th. The men had been isolated there for four and a half months! Shackleton’s expedition is one of the greatest survival adventures in history. His mental toughness set the example for all people! To tune up your own mental toughness, check out http://www.FB.com/ReliefWithJulie! As you know, a knot is a method of fastening or securing linear material. Knots are usually tied with rope by tying or interweaving. They may consist of a length of one or several segments of rope, string, webbing, twine, strap, or even chain. A knot is interwoven such that the line can bind to itself or to some other object. Knots have long been the subject of interest for their ancient origins and their common uses. Look through any “Book of Knots” and find dozens of possibilities. Each knot has properties that make it suitable for a range of tasks. Some knots are used to attach the rope to other objects such as another rope, cleats, rings, or stakes. Decorative knots usually bind to themselves to produce attractive patterns. Unknown to some, knots weaken the rope in which they are tied. When knotted rope is strained to its breaking point, it almost always fails at the knot. The bending, crushing, and chafing forces that hold a knot in place also unevenly stress rope fibers and ultimately lead to a reduction in strength. The exact mechanisms that cause the weakening and failure are complex and are the subject of continued study. Relative knot strength, called knot efficiency, is the breaking strength of a knotted rope in proportion to the breaking strength of the rope without the knot. Determining a precise value for a particular knot is difficult because many factors can affect a knot efficiency test: the type of fiber, the style of rope, the size of rope, whether it is wet or dry, how the knot is dressed before loading, how rapidly it is loaded, whether the knot is repeatedly loaded, and so on. The efficiency of common knots ranges between 40 to 80-percent of the original rope strength. In most situations forming loops and bends with conventional knots is far more practical than using rope splices, even though the latter can maintain nearly the rope's full strength. Prudent users allow for a large safety margin in the strength of rope chosen for a task due to the weakening effects of knots, aging, damage, and shock loading. The working load limit of a rope is generally specified with a significant safety factor, up to 15:1 for critical applications. And, the Ashley Book of Knots, written by Clifford W. Ashley in 1944, is generally considered the definitive book on knots. You probably have a copy on your bookshelf! So, this week, I tell you all about knots because most of my clients come to me with knotted-up relationships. Their “relationship knot” is in the middle of their relationship rope with each pulling hard on opposite ends. In order to remove the knot, each must stop pulling. Once the tug-of-war stops and there is some slack in the rope, the relationship knot can be removed. There is simply no way to unknot a relationship without any slack! Learn more about unknotting relationships by contacting me at my website, http://www.AmericasMindsetMechanic.com.